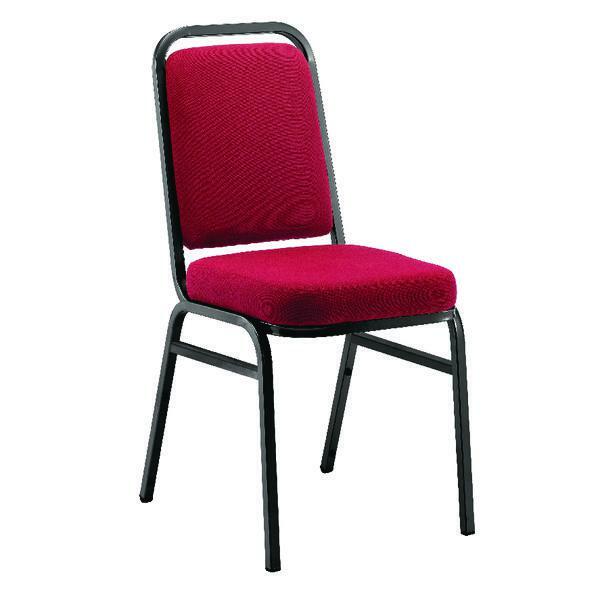 Providing enough seating at conferences, banqueting halls and other hospitality events has never been easier with these Arista Banqueting Chairs. 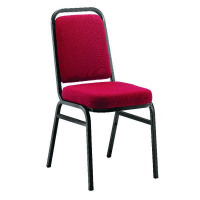 They feature a black frame and comfortable claret upholstery. The minimal design and streamlined shape of these chairs makes them easy to stack up to 4 high when not in use, allowing you to store a high volume of seating without taking up floor space.